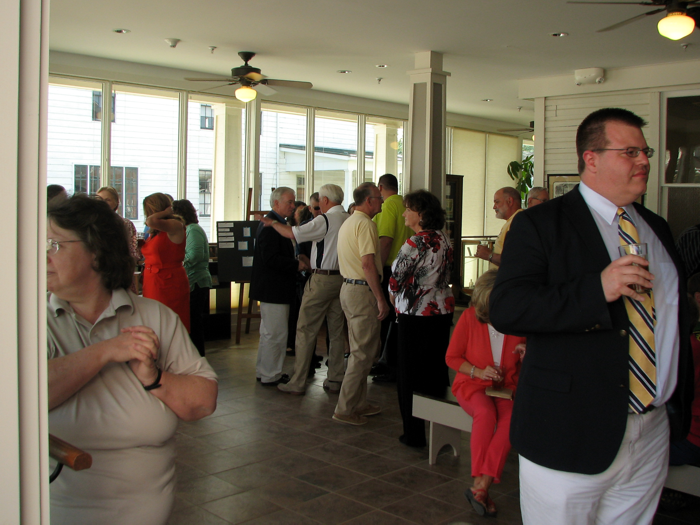 Friends and supporters gather on the new Beverly Heritage Center patio to cut the ribbon for the completed facility. 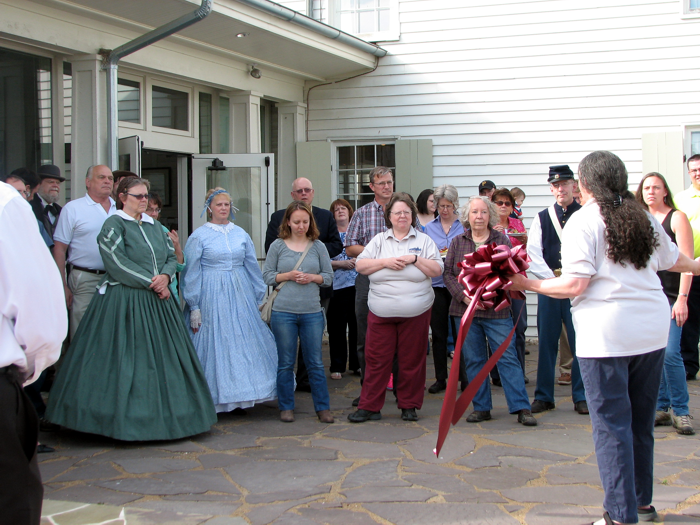 Phyllis Baxter, President of Historic Beverly Preservation, and Richard Wolfe, President of Rich Mountain Battlefield Foundation hold the ribbon, while BHC Executive Director Darryl DeGripp wields the scissors. 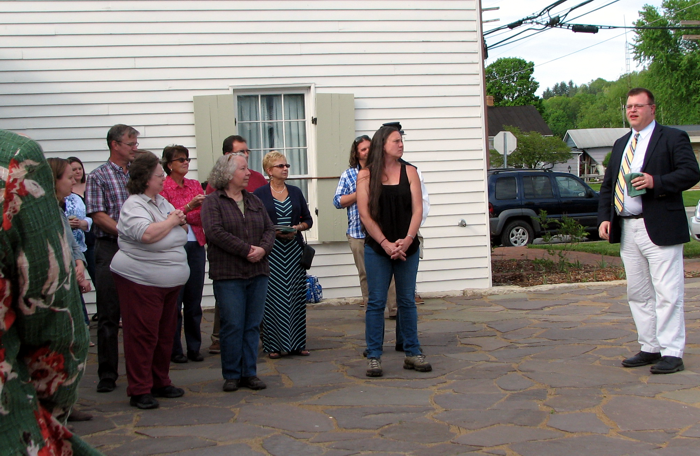 Among the more than 80 supporters attending, visible in the photo are Jess Arbogast, Randolph County Chamber of Commerce (left of Baxter), Denise Campbell and Bill Hartman, WV House of Delegates (between Baxter and DeGripp), Arden Swecker, RMBF, Victor Greco, project architect (between DeGripp and Wolfe), and (right of Wolfe) Susan Pierce, WV Deputy State Historic Preservation Officer. 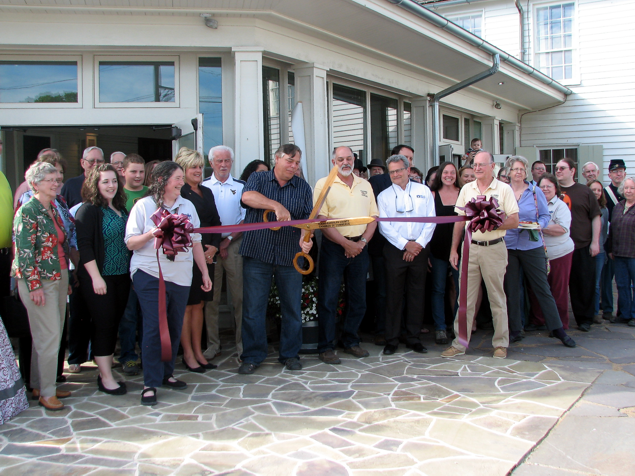 A new sign, patio, sidewalks, and landscaping, and Courthouse reconstructed cupola with weathervane are the final features completed for the Beverly Heritage Center. Phyllis Baxter (back to camera) offers thanks to the many supporters and funders who helped complete the Beverly Heritage Center. Major funders including WV Department of Transportation, WV Division of Culture and History, National Park Service, and John C. Allen, Jr. Among the audience are Beverly Heritage Center supporters in period dress, who often provide docent services and living history for visitors. 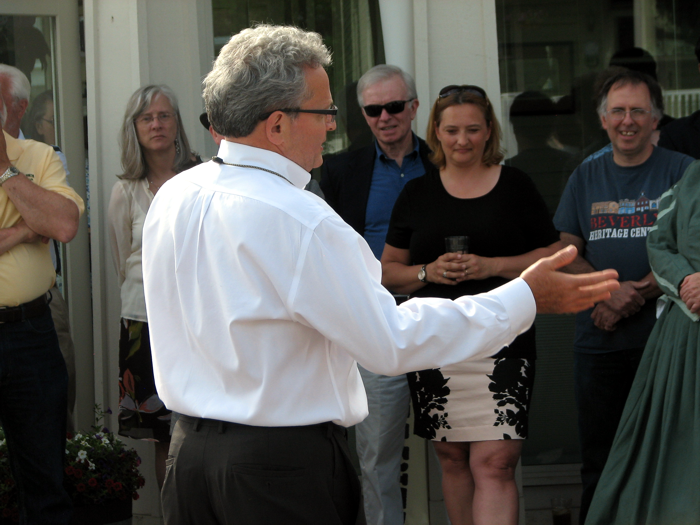 Architect Victor Greco of the Mills Group, was the lead architect throughout the Beverly Heritage Center project. He shared insights about the significance of the history expressed in the project. Former BHC directors Michelle Depp and Terry Hackney look on. 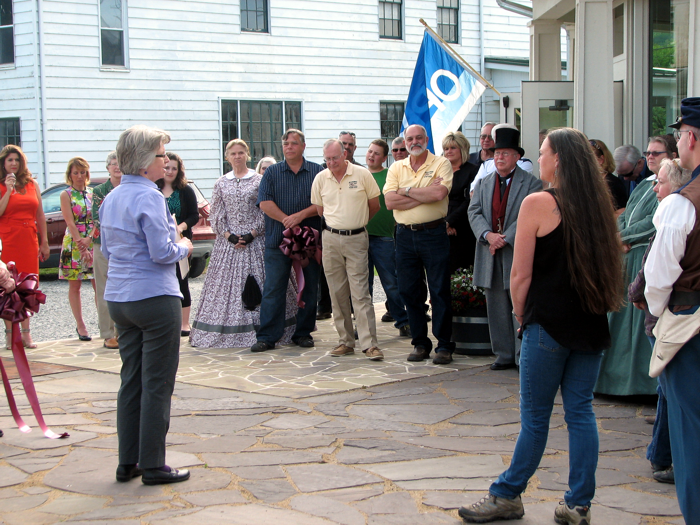 Susan Pierce, WV Deputy State Historic Preservation Officer, discusses the commitment and funding for the BHC project provided by the West Virginia Division of Culture and History, including grants both from her office and the WV Commission on the Arts. Stephen Smoot, a representative from Congressman Alex Mooney, conveys the Congressman's best wishes on completion of the Beverly Heritage Center. Charlie Friddle gives a sponsorship donation of $2500 from First Energy Corporation for the continued support of the Beverly Heritage Center. 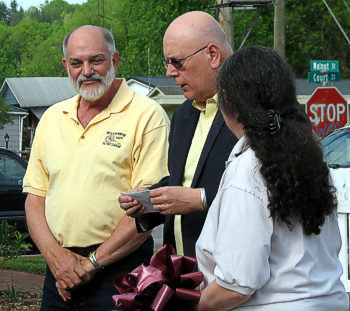 Receiving the donation are Baxter and Arden Swecker, Treasurer of Rich Mountain Battlefield Foundation. 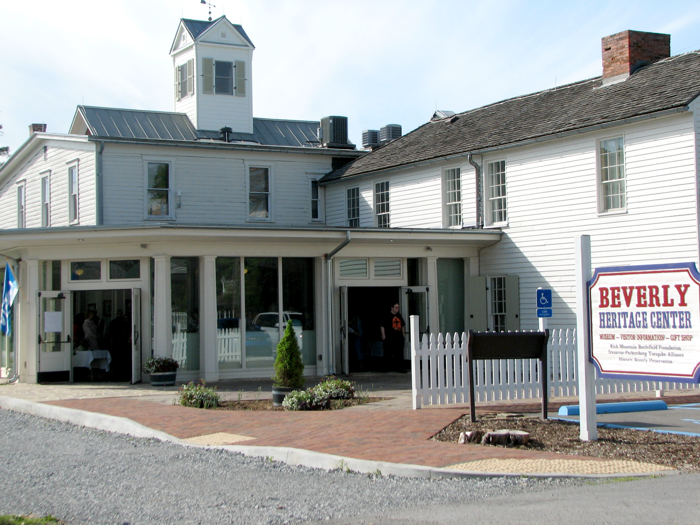 The mostly glass entrance gallery of the Beverly Heritage Center welcomes visitors to the facility. Mountain Winds Woodwind Ensemble entertains with 19th century parlor music. Musicians are Morris Kittle (from back) on clarinet, Linda Wolfersheim on bass clarinet, and Richard Evans on flute. 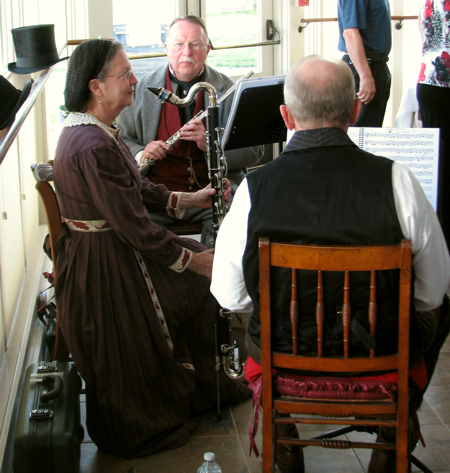 Mountain Winds frequently plays for special occasions at the Beverly Heritage Center. 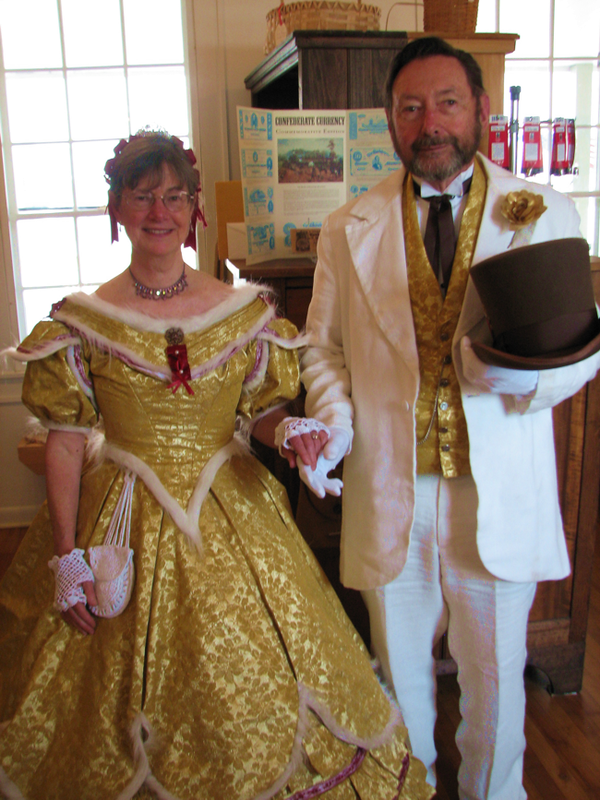 Governor and Mrs. Francis Pierpont, portrayed by Pamela and Art Dodds, are frequent guests at Beverly Heritage Center events. 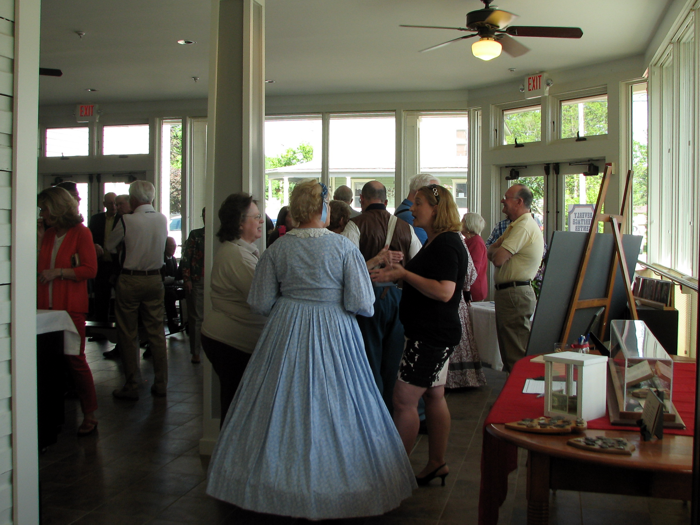 Open house celebration attendees converse and enjoy homemade treats in the BHC gallery.